This is a Custom made leather football helmet Researched and specified by fans and thru images researced from old football magazines to create fantasy New Englanmd Leather Helmet with 1940s colors We can deliver one of these great custom color helmets if you like just call in your order or place on line...Comes only in the size where one size fits all.6 1/2-7 1/2 We also make this style in a mini . 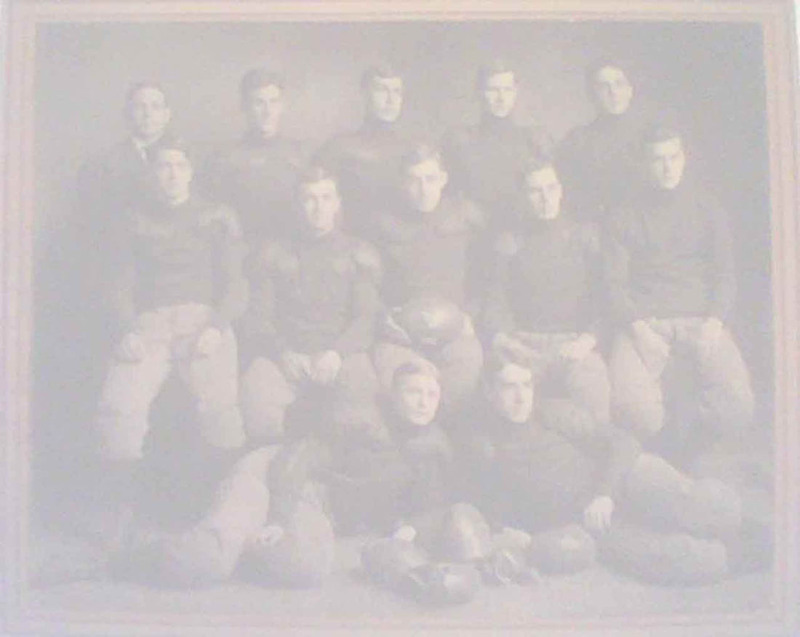 This great old style, in differnt color combinations, was also used by several other division II schools as well as some early factory Pro, College and High School teams of the 30s and 40s eras too. 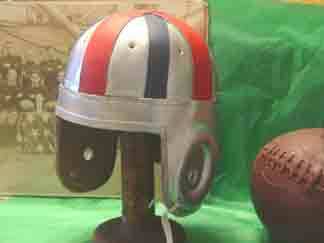 A great gift or Sports commemorative award or Trophy for your football helmet history fan. This is a Custom helmet and takes a few extra days to complete so please order in advance to get it with this old beautiful aged combination of colors.